This is for 1 Baby Mickey Mouse Centerpiece Baby Shower Fillable Bottle Piggy Bank. 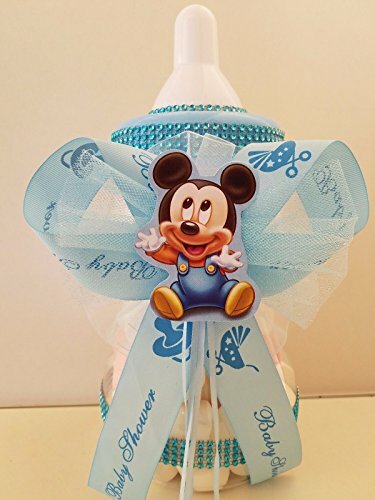 This is the Perfect Baby Mickey Mouse Centerpiece for your baby shower. Make This Your Special Gift for your guest to keep has a souvenir the bottle fits chocolates, marshmallows , candies, gummy bears, mints, coins, you name it. This piggy bank is fillable and has a little coin hole in the cap of the bottle to put coins inside. Large Jumbo Size: 12 1/2" inches tall x 5 1/2" inches Wide. Each One Of Them Is Handcraft And Made of Durable Plastic.